By comparing the frequency of last names among more than 61,000 professors in medicine, engineering, law, and other fields, University of Chicago researcher Stefano Allesina found the pattern to be incompatible with unbiased, equal opportunity hiring. 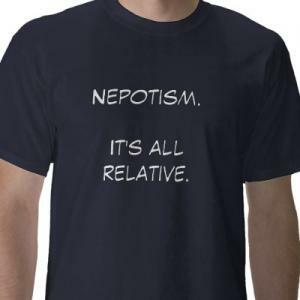 The analysis, published online in the journal PLoS ONE, refutes the notion that recently publicized cases of academic nepotism in Italy were isolated incidents. To measure the full magnitude of nepotism in Italian academia, Allesina turned to a public database created by the Italian Ministry of Education. Included was first and last name information for over 61,000 tenured professors from 94 institutions, along with their department and sub-discipline. Allesina used the pool of last names to run a simple analysis of name frequency. More than 27,000 different last names appeared at least once in the dataset, and Allesina sought to test whether certain names appeared more often than expected in a given field. So he programmed the computer to conduct one million random drawings from the pool of names to see how probable it was to obtain the number of last names that exist in the real-life data. For example, of the 10,783 faculty members working in medicine, 7,471 distinct last names were found. But in one million random drawings from the full pool of names, Allesina’s program never came up with fewer than 7,471 unique names, indicating an improbable frequency of last names indicative of nepotistic hiring. The pattern is uneven across disciplines though, with this approach demonstrating the highest likelihood of nepotism in areas including industrial engineering, law, medicine and geography. According to hte study the fields with the distribution of names closest to random – and thus with the lowest likelihood of nepotism – were linguistics, demography, and psychology. Not good news for higher education in Italy.